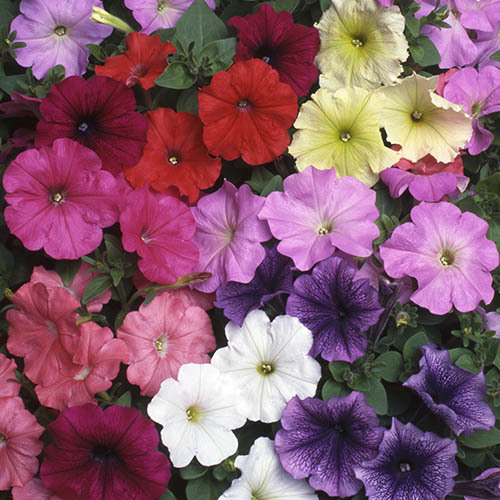 These petunias will bring your beds and baskets to life with their sumptuous, velvety flowers. Compact and easy to manage, they are brilliant for patio pots, or flower borders. The gorgeous mix of colours will look spectacular all summer long. Supplied as a pack of 40 plug plants. These unbelievable petunias will bring your beds and baskets to life with their sumptuous, velvety flowers. Compact and easy to manage, they are brilliant for patio pots, or flower borders and the gorgeous mix of colours will look spectacular all summer long.